Damn it feels good to write those words again!! Gates open for General Admission, Friday at 8am. Thursday early arrival passes allow admission Thursday at Noon. Music starts at Noon on Friday and bumps nonstop until Monday at 4pm. Tickets include entrance, camping, and access to all open kitchens, theme camps, & art installations. For fastest entry, please print and bring your ticket that will be emailed to you upon purchase. If you can't find the email please check your spam or promotions folder. If you are planning to camp in the campgrounds with your vehicle, you will need a Car Camping Pass. If you are arriving in a RV or bus, you will need a RV pass or else you will not be allowed entry. If you don't need to camp directly next to your car, there is a huge parking lot about a 2-5 minute walk to the campgrounds where you'll be able to park and leave your car. It is literally the shortest festival walk you'll ever do so don't even trip when Car Camping Passes sell out. Early Entry Passes allow entrance to the festival grounds on Thursday before music starts on Friday. If you would like to enter on Thursday you will still need a regular general admission pass as well. *Note: All cars & RVs will have to pay the standard $20 Environmental Impact Fee upon arrival, even if you bought a Car or RV Camping Pass. The Los Coyotes Indian Reservation is truly a gem to behold. Tucked in to the mountains surrounding Warner Springs (San Diego County), it brings the best of the high desert and forest together all in one. Trust us when we say we don’t know of a more beautiful place in Southern California to host our festival. Temperatures can range from the 70s in the day to the 30s at night. Be prepared for extreme heat and cold. There are plenty of open spaces as well as ample areas shaded by trees. There will be plenty of parking that is reasonably close to all camping areas. If you wish to bring an RV, you must purchase a pass in advance. If you would like to camp with your car, you must purchase a pass in advance. The campground is rustic so there are no showers or functional bathrooms. We will be providing ample portapotties that will be spread throughout the venue. TBA ~ but when have we ever let you down before? DH Arts Program aka DesertARTS was founded to provide a structured management platform for the involvement of community based artists and performers to create a truly unique atmosphere embedded with artistic participation and imagination. Art and dance are the ultimate form of self expression and it is through these platforms that we celebrate all that make us human. With the growth of Desert Hearts we have continued to focus on the expansion of our arts and outreach for community participation. We have fully committed to hosting a wide variety of artists, which include but not limited to, live painting, face/body painting, displayed art, interactive art, art installations and performance art. 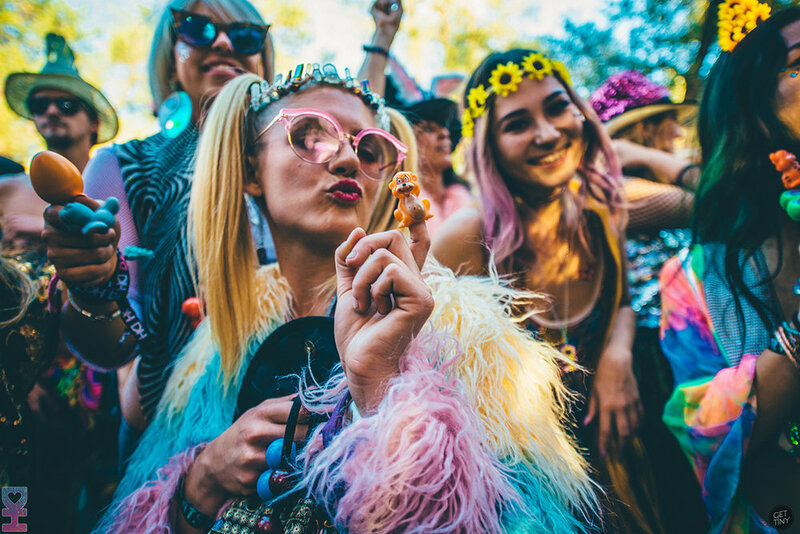 Being a boutique festival that's focused so heavily on the music and vibe, we at Desert Hearts are now more than ever committed to creating space for community healers to gather and share their knowledge. Our village this year will feature healing domes from Sacred Spaces, Wet Dreams, Earthing Tea and more. Shane Chunephisal (shanechunephisal@gmail.com) has taken lead of organizing and managing our yoga and healing coordination. We will be hosting various forms of healing included but not limited to Yoga, Workshops, Sound Healing, Crystal Healing, Reiki, Energy Work, Spoken Word and Relax/Recharge Zones. Join our Ride Share group to find a ride or find riders to Desert Hearts. Please only make posts related to ride shares on this group. Any creative energy you can bring to the gathering please do! Have some cool deco for your camp? Have some tripped out clothes or costumes? Have any paintings or art sculptures? Like to dance like never seen before? Well this is the place to do it! Let you're creative genius flourish because that is what makes us so beautiful and unique. ~ ABSOLUTELY NO ILLEGAL SUBSTANCES OR ILLEGAL BEHAVIOR OF ANY KIND. Including NOS tanks, balloons or any kind of drug use. DesertHearts has a strict Zero Tolerance policy. You will be asked to leave if you violate this. ~ 21 & Up Event; ID's will be checked at the gate. ~ No re-entry if you leave the festival. Bring enough water and ice to last you throughout the weekend--they will not be sold or provided on grounds. ~ No dogs (service dogs excluded, but must be identified and leashed). ~ No renegade sound systems--basically anything larger than a small speaker. One stage, one vibe has always been our policy. ~ No littering, especially be mindful of bottles and cigarette butts. Do your part to help clean up trash when you see it. ~ Pack it in and pack it out please!!! When you leave trash at the campgrounds it puts a lot of strain on our volunteer team. This is a leave no trace event. Pack it in, pack it out. Please do not leave your trash bags with us. PLEASE do not leave any bottles or trash by the dance floor/speakers. If you see trash or bottles out on the ground or left out, please help clean it up and keep our land beautiful. There will be recycling containers by the stage. It's a good idea to bring two trash bags, one for trash and one for recycling. Please pocket your cigarette butts and pick up any butts if you see them on the ground. No glow sticks or glow sand please! Also, please no feather boas or anything that will create MOOP. Desert Hearts will be staffed with a fully licensed and insured security team at all times. This does not mean you should leave your car unlocked or personal belongings out in the open. Desert Hearts is not responsible for anything that is lost or stolen. At all our outdoor gatherings there will be a trained medical staff on standby during the entire duration of the event. If you have any medical needs please find the medic tent and they will be more than happy to service you. Please be cautious of any known allergies, illnesses, or infections you may have. Also, be cautious of your surroundings, some of our locations are known to have such things as poison oak.